bonjour mes amis, ça va c’est soir? i hope you’re safe and sound in your own world, enjoying some time to yourself as you read this. i’m thinking about everyone who’s been displaced in japan and so grateful for the status quo and life as we know it. i’ve mentioned before that i don’t think about posting till it’s time to write but today someone asked me to write about (of all things)! 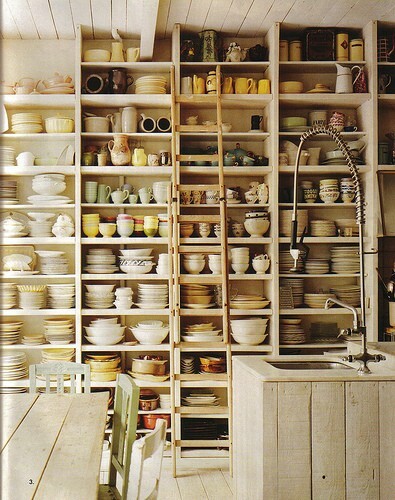 kitchens. now, we all have a kitchen but over the years my focus has been pretty much everywhere but. 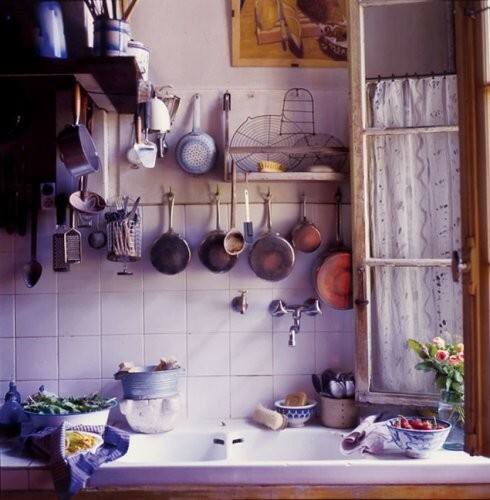 the salon, the boudoir, salle de bain, dressing room, suites, guest rooms, even offices…anything but the boring kitchen. but as i was going through pics i’ve been saving, i realized that the kitchen is a place i’ve been secretly loving for years and forgot all about in decorating. my parents put an island and giant hotel pot rack in their kitchen in the 70s and it still looks fresh. 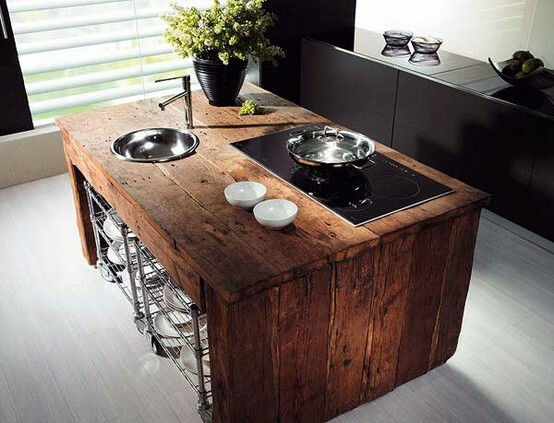 today islands are de rigeur and i love this one in reclaimed wood. 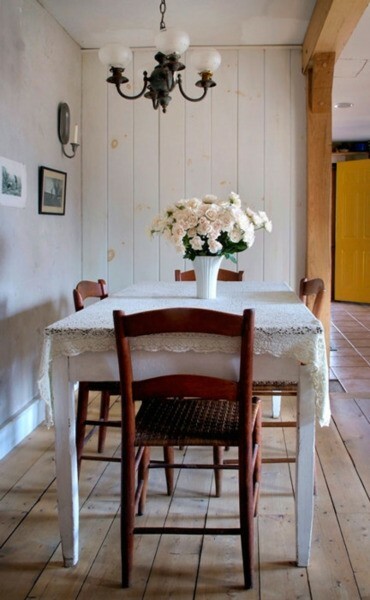 my grandmother’s kitchen table was the place to be for good tea and talk growing up. i remember she had plaques on her wall with great sayings like ‘explain not, friends don’t expect it and enemies won’t believe it’ and ‘god couldn’t be everywhere so he created mothers’. it had red counter tops and always something brewing. and i loved to hang out and listen to everyone’s dramatic stories. 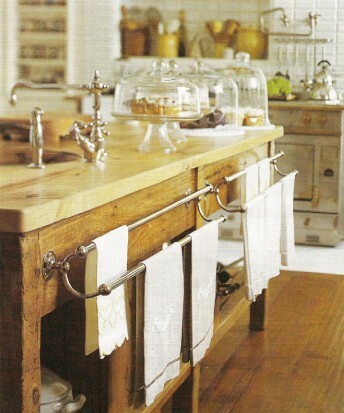 if i could have a dream kitchen, i guess it would have a lot of rustic touches like farm cabinets and a harvest table. 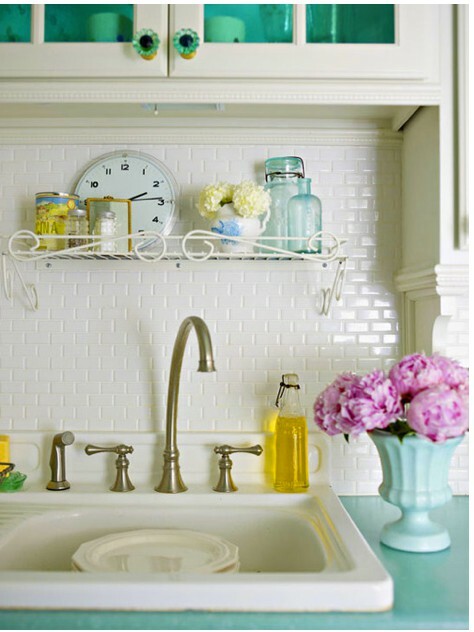 it doesn’t take much to change a small counter top. 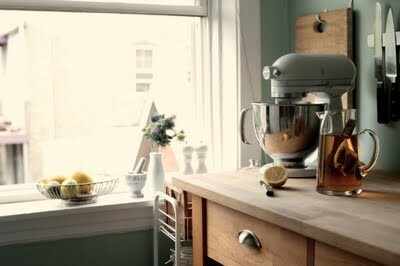 i always wonder why they always rip out full kitchens on the home deco shows when it’s the one room that’s easy to tweak with paint and butcher block. 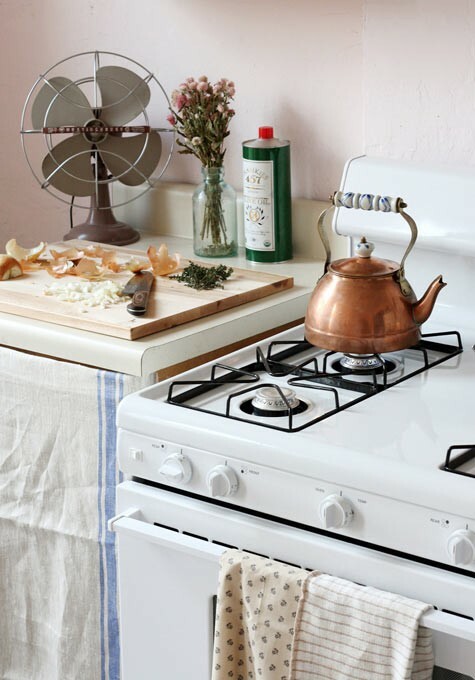 oh and great appliances probably do help. guess like any other room it’s all in the details. as long as there’s a table for two and a friend to share it with. maybe i’ll cook tomorrow. well, i’m off. have a great night, this kitchen is closed! March 29, 2011. 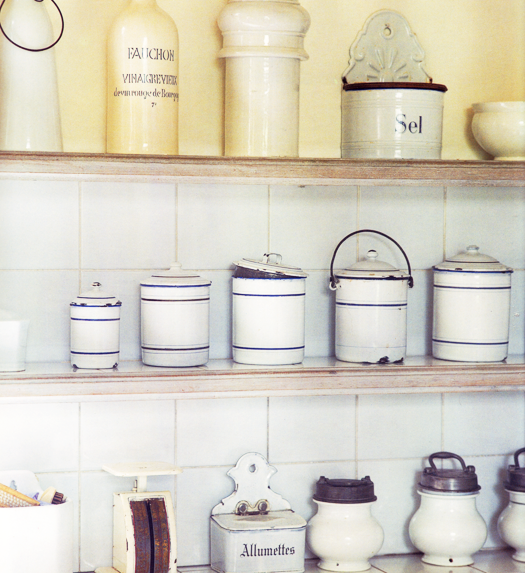 Kitchens, postaday2011. Thank you!! You made my evening and inspired me again. March 29, 2011 at 1:58 am. Permalink. oh that’s great to hear, thank you! March 29, 2011 at 2:50 am. Permalink. 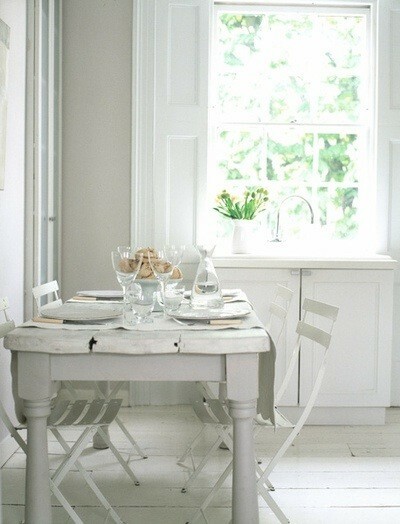 Of lovely pictures and ceiling fixtures. March 29, 2011 at 2:32 am. Permalink. oh wow, i’m in awe! thank you for my poem, i am positively misty! it’s like getting a heartfelt, impromptu love letter! just before you sent it, i was thinking about how tepid i’d been about writing a post a day and sending it directly into someone’s email. a blogger gave me the faith to have no fear and you just gave me the delicious fruit from taking that plunge. March 29, 2011 at 2:47 am. Permalink. Oh so many lovely images a great selection! I adore gettimg new ideas this way! I have a new giveaway I think you will love…from The Zhush! March 29, 2011 at 4:49 am. Permalink. Lovely photos. So hard to pick a favorite style. 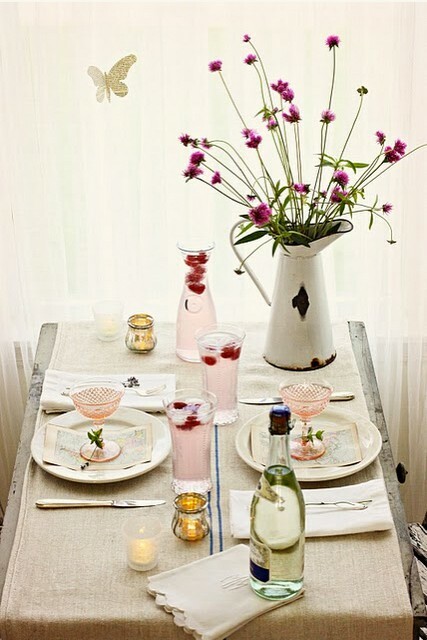 I too am torn between the rustic look and more modern looks…so maybe a beautiful combination of the two! Love the last photo. March 29, 2011 at 6:09 am. Permalink. Claudia, This is kitchen happiness. I am so enjoying your diligent blogging work! March 29, 2011 at 7:54 am. Permalink. thanks kate! that means everything to me! March 29, 2011 at 1:17 pm. Permalink. Thanks for the lovely inspiration. 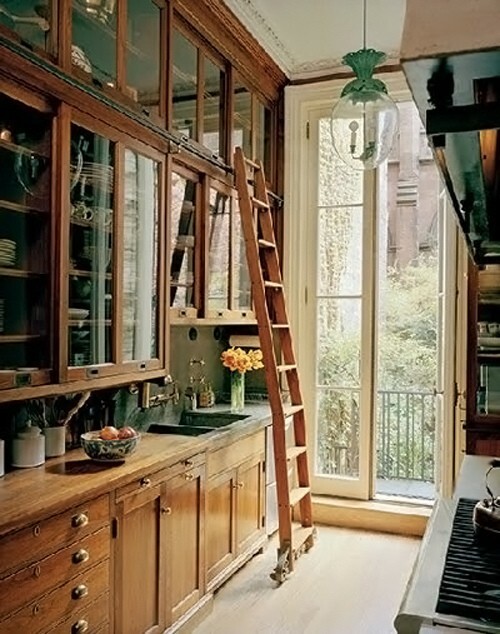 I’m currently on the look for just that to upgrade my kitchen. So this totally made my day..
And as always, its a treat to visit your blog. March 29, 2011 at 4:46 pm. Permalink. 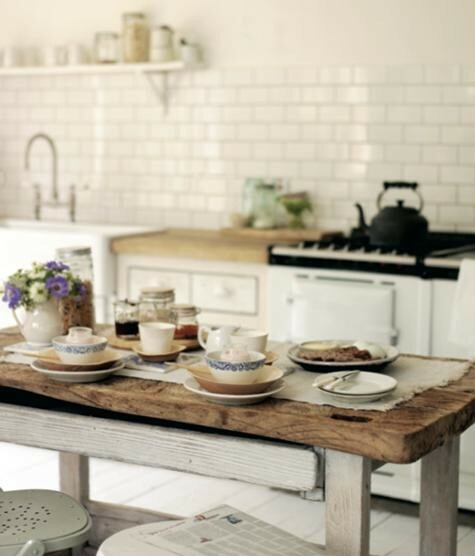 Love the natural woods in so many of the kitchens you chose. Pieces that show their patina and the hint that they’ve “been around the block” have such mystery! March 29, 2011 at 6:38 pm. Permalink. I actually started laughing as I read this and looked at the pictures, only because your style is just like mine! 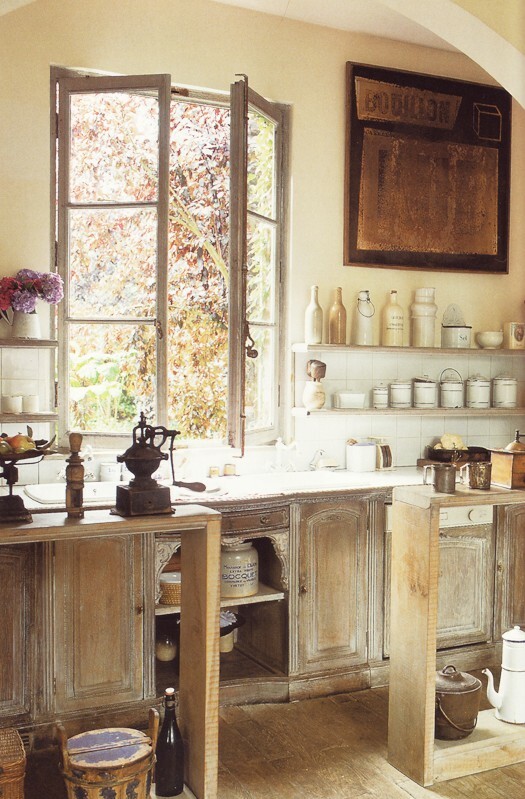 I love old French style kitchens, with old, beat up canisters, huge wooden tables, neutral colors, and tons of sunlight. 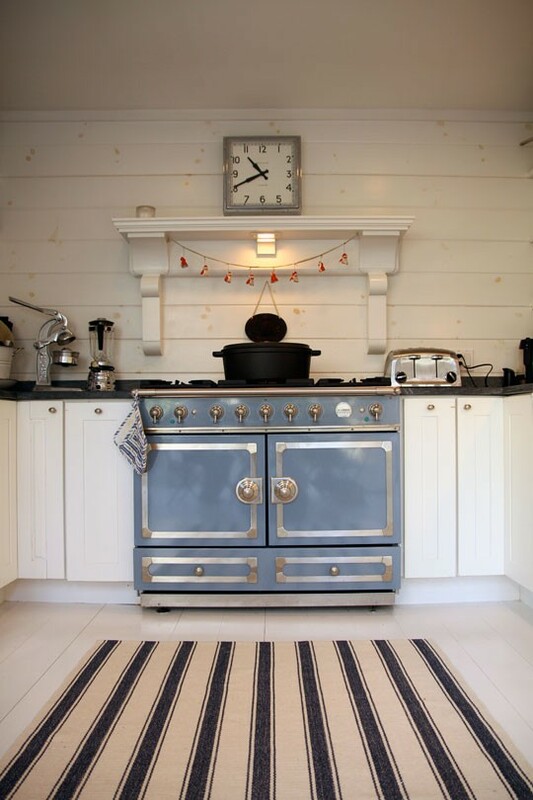 I have a tiny galley kitchen myself, and it’s sadly far from my ideal, but this has given me lots of ideas for when I get around to a re-do. 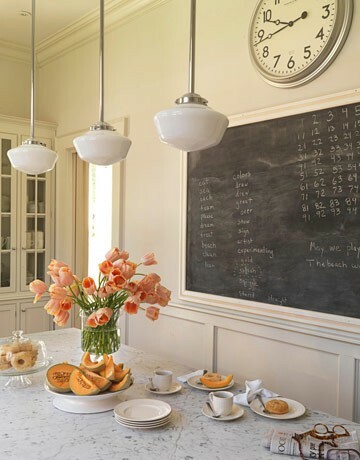 My favorite picture must be the fourth one, courtesy of cocokelley…who doesn’t want a rolling ladder a la every vintage library in their kitchen? March 29, 2011 at 9:08 pm. Permalink. This is my first visit. I love all the pics. Thanks for sharing them. March 29, 2011 at 9:39 pm. Permalink. 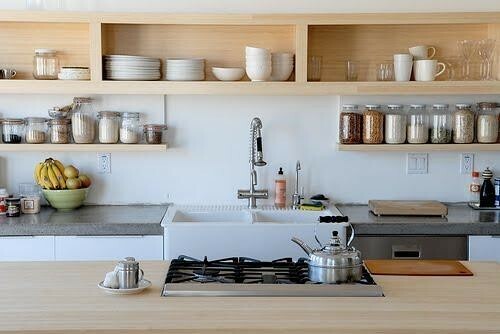 Neat kitchens, and among my favorites is the one that resembles a class room. 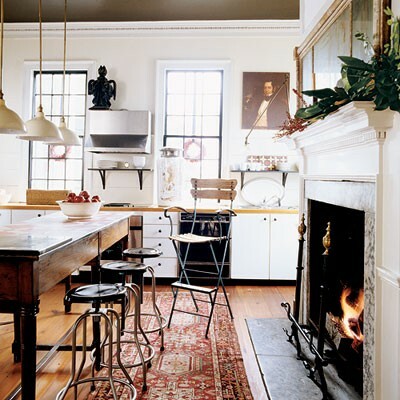 All kitchens should be designed as the center and heart of the house, where everyone gathers on holidays, making cooking and serving downright dangerous. March 29, 2011 at 10:59 pm. Permalink. You’ve done it again! You’ve scoured the internet for me, saving lots of time for me, and found all the perfect pictures for me to put in my the file I’ve been meaning to start!!! This one? 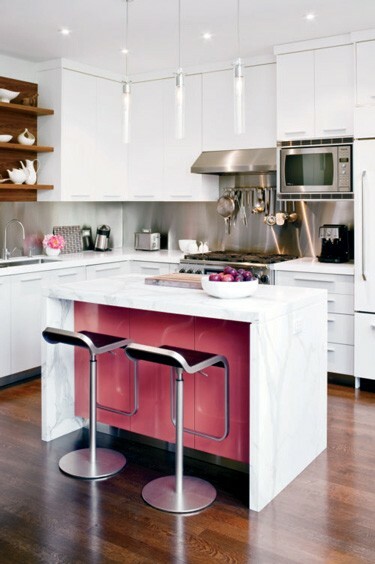 Dream Kitchens! March 29, 2011 at 11:21 pm. Permalink. HOW DO YOU ALWAYS KNOW EXACTLY WHAT I NEED? March 30, 2011 at 10:17 am. Permalink. April 22, 2011 at 10:18 pm. Permalink.